Don’t miss out on your summer holiday in the Alps. 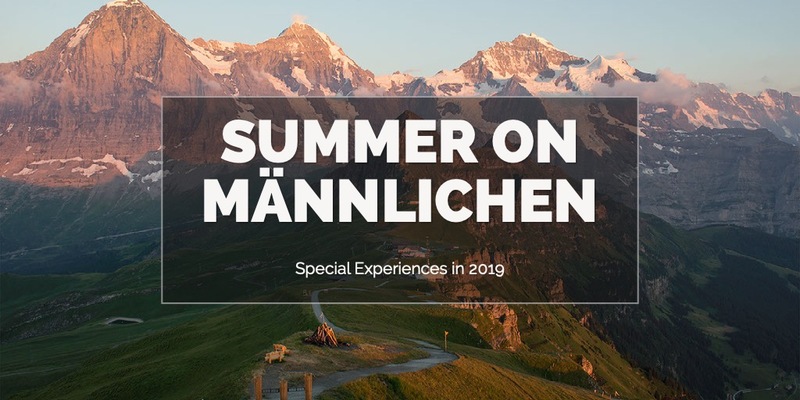 With plenty of sports, cultural events, activities and sightseeing to do, a summer adventure in the Alps promises to be anything but boring. Two outdoor sand courts are located in the center of town. Rackets and tennis balls can be rented from the neighbouring tourist office where bookings can also be made. The Jungfrau Region offers 160 km of mountain bike trails for all levels of difficulty. Many local cable and train links are suitable for transporting bikes, including the Firstbahn, Grindelwald bus, Berneroberland trains, cable car Isenfluh-Sulwald, trainline Lauterbrunnen-Grütschalf-Winteregg-Mürren, Schilthorn cable car Stechelberg-Gimmelwald-Mürren and the Wengernalp trainline Lauterbrunnen-Wengen. Imboden Bike in Lauterbrunnen offers a good range of bikes for rental including children’s, race and mountain bikes. Bikes can also be rented at Central Sport in Wengen. Please enquire for further information. An 18 hole course, located in the center of town, with spectacular views of the surrounding mountains. Equipment can be rented at the tourist office. There are many mountaineering challenges in the area including the Aletsch Glacier tour, the knife-edge Mittellegi ridge of the Eiger, the ridges leading to the Finsteraarhorn summit group, the Gross Grünhorn summit, the Gspaltenhorn summit, the Jungfrau summit, the Mönch peak, Petergrat, the Schreckhorn peak, and the Wetterhorn peak. Please click here to enquire about custom made tours. Paragliding, Scenic helicopter flights, and River Rafting Tours can be booked at the tourist office. More information at www.paragliding-jungfrau.ch, Swiss-Paragliding.ch, and www.tandem-speedflying.com. This swimming pool at a height of 1310m above sea level offers stunning views over the Jungfrau mountain. Built in 1931 as designed by Urfer and Stähli and Ing. Meyer, Thun, it is protected under conservation laws. Opening times: Daily from 10:00 – 19:00, middle of June till end of August; closed for bad weather. Prices: Adults: CHF 4.-, Children: Free.